Do you have a period property with original sash windows or casement windows that need restoring or upgrading? At Sash Window Experts, we recognise that double glazed windows are now an essential feature of the modern home, with many proven benefits over single glazed period windows. We work with the latest advances in technology in the double glazing industry to provide beautiful double glazed, hard or soft wood sash windows that have the following advantages. Recent figures have shown that somewhere in the region of 50-70% of heat in the home is lost through having single glazed windows. Installing double glazed windows achieves a better thermal performance by trapping a layer of air between two glass panels. It is one of the most efficient ways to improve the energy efficiency of your home. Changing your windows from single glazed to double glazed windows will help you keep more of the heat in your home. This means you can keep the central heating thermostat turned down in order to reach the same internal temperature, saving on energy consumption and utility bills. If your home is situated on a busy road or in an urban area, or you have noisy neighbours, double glazing can be a very effective method for noise reduction. Enjoy your home in peace and quiet, with no more sleepless nights and less noise distraction all round. Double glazing is also an effective method to provide a greater level of home security, and the peace of mind that comes from knowing your family is safe at all times. Particularly on the ground floor, modern construction methods and double glazed window panes will make it much harder for any intruder to gain access. Timber framed, double glazed windows have a timeless appeal that perfectly complement older properties and listed buildings. Routine cleaning with warm soapy water is all it takes to preserve your windows. Carry out periodic checks for moisture ingress, wear and tear and apply a fresh coat of paint where necessary. 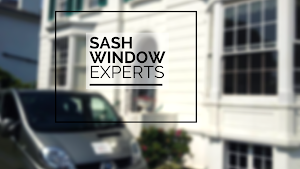 Sash Window Experts have more than 25 years’ experience of restoring period windows. We can offer beautiful double glazed hard or soft wood sashes that incorporate warm edge technology that is normally used in modern sealed units while retaining all the essential period features including the original moulding design and horn detail. For details about double glazing for sash windows, or any of our other sash window repair and restoration services, please call the Sash Window Experts office on 01293 762 370 or fill in the form on our Contact Page to send your enquiry or arrange for a free quotation.